Soldiers' Angels - KemperSports Setting Records! On Wednesday, February 22, KemperSports and KemperLesnik held a Box Lunch packing event with Soldiers' Angels in Chicago. 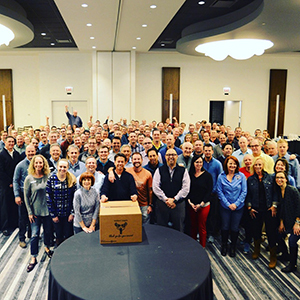 Not only did the employees from the company have a great time packing the boxes-- they also set a record for the most box lunches packed supporting the Jesse Brown VA in Chicago-- 2,000 Box Lunches! AND- they did it all in less than an hour!! Check out all the photos from the Box Lunch packing event.